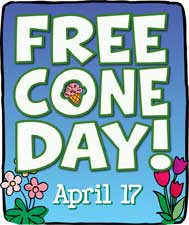 On Tuesday April 17th from 12pm until 8pm participating Ben & Jerry’s scoop shops around the world will be hosting Ben & Jerry’s Annual Free Cone Day. Click here to find a participating scoop shop near you! I LIVE IN VERMONT! So I know all about Ben & Jerry's ice cream. LOL! You've got to try 'Karmel Sutra'.